If you’re an avid coffee drinker, you’ve probably wondered just how many types of coffees there are. 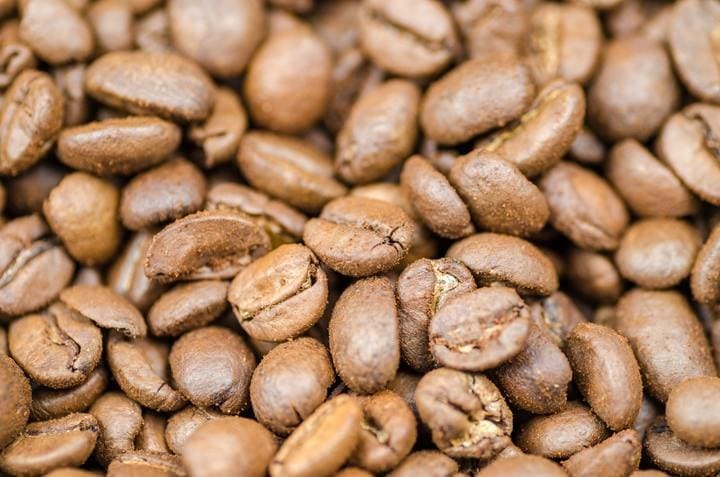 Here you will get a complete guide to the different types of coffee beans, the roasting spectrum, and coffee blends, which all have different flavors, bodies, and acidity levels. 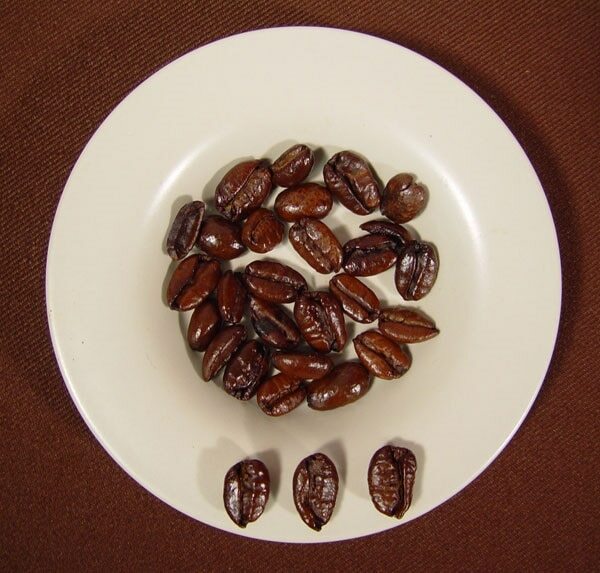 There are four main types of coffee beans. All of these are grown in what is known as the Coffee Belt. This Coffee Belt is along the equator, because most coffee grows in a hot climate. Growing conditions vary between beans: some like more altitude or rain than others. Arabica beans make up about 60% of the total world coffee consumption. 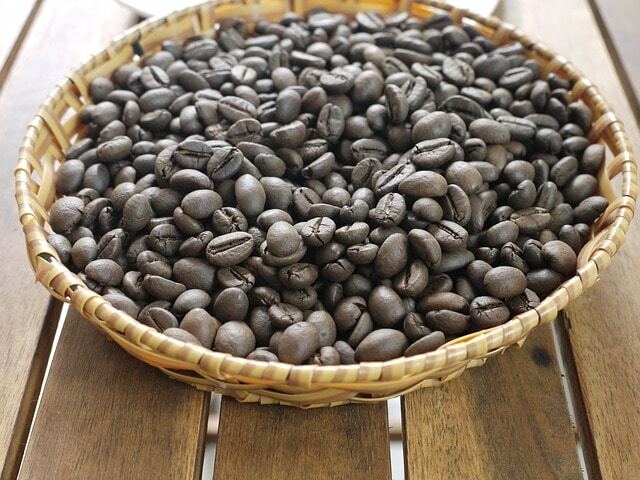 Roasts made from Arabica beans are considered higher quality and often pricier. Coffee shops typically serve Arabica bean blends. Overall, these beans have more acidity compared to Robusta beans. Arabica beans are grown throughout the Coffee Belt, but mostly in Latin America. Depending on where they grow in the three Coffee Belt regions they can have vastly different flavors. This will be explored later. 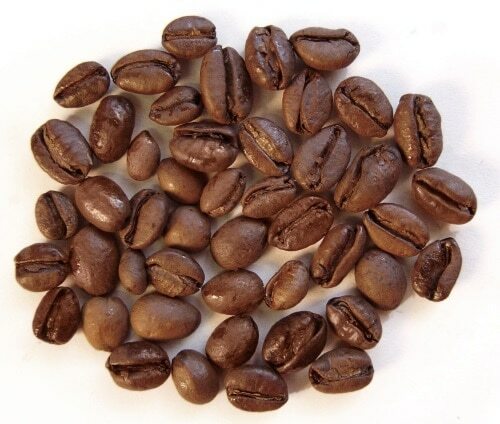 Robusta coffee beans are the second most used coffee bean. These are what Americans are used to brewing at home and what we purchase in grocery stores. Supermarkets also sell blends with Robusta and Arabica beans too. Robusta beans contain twice as much caffeine as Arabica beans, but look like little balls instead of the typical almond shaped bean we visualize. These are mainly grown in Africa and Indonesia. They are easier to grow than Arabica beans because they can thrive in low or high altitude. The product tends to be harsher and more bitter due to the effects that roasting has on Robusta beans. However, they’re great for making espresso shots because of their deep flavor. This type of bean holds up better when you add cream and sugar, unlike Arabica beans whose flavor tends to change. Robusta beans are grown only on the Eastern Hemisphere, and therefore appear only in two of the three regions in the Coffee Belt, which is explained later. Liberica beans grow only in the Philippines. These beans have a floral, fruity aroma, but produce coffee that has a full body and a woody, smoky flavor. A shortage of Arabica beans in 1890 resulted in the U.S importing Liberica beans from the Philippines. This continued until they claimed independence and the U.S stopped trade. Excelsa coffee beans aren’t used very widely; they represent only 7% of the world’s coffee consumption. They grow in Southeast Asia and are considered a genus of Liberica beans. However, the flavor is more tart and fruity. They can be bought here. What about the Roasting Spectrum? Most retail coffee sellers provide a multitude of coffee blends. These variations are often divided between light roasts, medium roasts, and dark roasts. The length of time a bean is roasted determines the slight difference in caffeine level, how acidic your coffee is, how much body it has, and sometimes the intensity of the flavor. We’ve written an article on this topic here. Now you know where coffee beans come from and the differences between the roasts. Now, how do you select the right blend for you? Where your coffee comes from determines the base flavors of the coffee. The Coffee Belt helps determine the three main coffee-growing regions. The Latin American region produces coffee that has chocolate and nutty tones. These tend to be Arabica beans. Fruity and floral coffees are attributed to the Africa/Arabia region. Herbal, spiced, or earthy coffees are grown in the Asia/Pacific region. These last two regions are where Robusta beans are grown, but Arabica beans are also grown here. A blend is a bag of coffee that has beans from two or more countries and sometimes more than one region. It can be as complex as a blend from 8 countries, but the average roaster uses about 4. The percentage of each type changes the flavor of the blend as well. For example, you could have a coffee blend made with beans from Mexico and Brazil. The coffee would taste different if it were an 80%-20% blend or a 60%-40% blend. If you want a more specific cultural coffee experience, try getting a single-origin coffee. Discover your personal preferences for what kinds of flavors you want to taste in your cup of coffee and what roast you prefer. Most coffee companies outline the origins of their coffee beans either on the bag or on their website. Now that you know more about coffee beans, you can choose the right blend to make your morning! Which is our favorite keurig brewer for office use?